winner of our 2019 Grand Canyon Giveaway! See contest rules for complete prize descriptions. This contest is now closed. Thanks to everyone who participated! Eligibility: Entrants must be legal residents of the United States to enter the 2019 Grand Canyon Giveaway (the Contest). Entrants must be 18 years of age or older at the time of entering. Employees of OARS, Chaco, and AFAR (the “Sponsors”), their affiliated companies, subsidiaries, retailers, suppliers, vendors, sales representatives, distributors, advertising agencies, promotional suppliers, and their parent companies, agents, officers, directors, and the members of the immediate families and/or persons living in the same household as such individuals, of each of the foregoing, are not eligible to enter the Contest. Contest Period: This Contest begins on January 17, 2019 at 12:00:01AM PST and ends on February 28, 2019 at 11:59:59PM PST (“Contest Period”). OARS will select 1 winner on March 1, 2019. Sponsor’s computer, or its third party service provider’s computer, is the official timekeeping device for the Contest. ENTER by completing the form at www.oars.com/win-a-trip. Limit of one entry per person. Each Contest entry must include all required fields on the contest form. Failure to complete the form will result in disqualification from the contest. By entering this contest you consent to the Sponsors sending you periodic emails however, you may unsubscribe at any time. OARS will randomly select one winner from all eligible entries to receive a 5-Day Grand Canyon Rafting trip for two. Additionally, the winner and their guest will receive two (2) $200 Chaco Cash Cards (ARV $400) and a one-year subscription to AFAR magazine (6 issues, ARV $24). 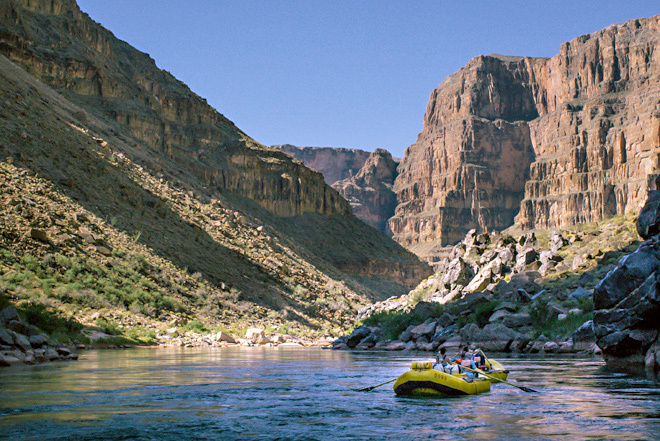 A Grand Canyon rafting trip is a physically-demanding experience. Winner and guest must meet all essential eligibility requirements for river trips as outlined here. OARS reserves the right to substitute a trip of equal or greater value for any reason. Advance reservations required and winner must contact OARS by email at info@oars.com or by phone at 1-800-346-6277 to book. Redeemable for the 2019 or 2020 seasons only. A $500/person refundable deposit is required at the time of booking to secure space. $20/person GCNP Entrance Fee not included. All departures subject to availability. Winner and their guest will be required to sign a standard liability release before their trip, acknowledging awareness and acceptance of risk. Standard OARS booking conditions apply. Winner and their guest are solely responsible for travel to and from Las Vegas, NV, ground transportation, taxes, transfers, spending money, tips, meals and any and all other charges not specifically mentioned as part of a prize. 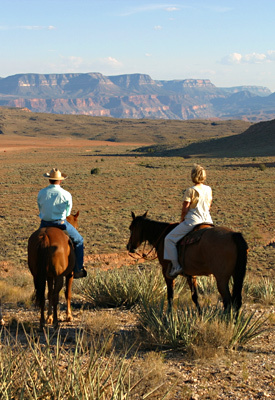 All incremental costs in using or claiming the prize not outlined in the prize description are the sole responsibility of the winner and their guest, including but not limited to: pre- and post-trip hotel stays, medical and travel related insurance, transportation, fuel, gasoline surcharges, beverages, food, gratuities, merchandise and all personal expenses of any kind or nature. Winner and their guest are solely responsible for obtaining their own travel documents after redeeming a prize. The Sponsors are not responsible in the event the winner or guest is refused entry to destination or re-entry for whatever reason and any unused portion of a prize will be forfeited. Winner and their guest must travel together on the same itinerary. Drawing and Notification: OARS will select one winner from all eligible entries. The winner will be selected based on a random draw performed in the OARS office. The results of the Contest, and the decision of the Sponsors, is final and binding in all respects. The winner will be notified by email within five (5) business days after the contest draw. If a potential winner cannot be reached or does not respond within ten (10) days from receipt of the prize notification, or if he/she is found to be ineligible, or if he/she cannot or does not otherwise comply with these Official Rules, an alternate winner will be selected. General Conditions: All Federal, state and local laws and regulations are applicable. All taxes (including, but not limited to, income taxes), and any and all service charges or fees applicable to the prize are the sole responsibility of the winner. The prize winner may be required to execute (and have notarized) an Affidavit of Eligibility, a Liability Release, and a Publicity Release (“Affidavit/Release”) which must be returned to and received by OARS or its third party service provider within ten (10) days from winner’s receipt of the Affidavit/Release. The winner may also be required to complete a Form 1099 before receiving their prize(s). The prize winner may also be required to produce appropriate proof of age. Any failure to comply with the foregoing will result in disqualification and an alternate winner may be chosen. Return of the prize, the prize notification, or the Affidavit/Release as undeliverable will result in disqualification and an alternate winner will be selected. The winner’s entry into the Contest and/or acceptance of the prize constitutes permission for Sponsors and their affiliates to use the winner’s name and/or likeness for advertising and trade purposes without further compensation, worldwide and in perpetuity, in any and all forms of media, now known and hereafter devised, including without limitation in Sponsors’ newsletters, on Sponsors’ websites or social media channels. All entrants agree to comply with these Official Rules. Any person attempting to defraud or in any way tamper with this Contest and any person who does not comply with these Official Rules, will be ineligible for the prize and may be prosecuted to the full extent of the law. THE CALIFORNIA COURTS (STATE AND FEDERAL) SHALL HAVE SOLE JURISDICTION OF ANY CONTROVERSIES REGARDING THE CONTEST AND THE LAWS OF THE STATE OF CALIFORNIA SHALL GOVERN THE CONTEST. EACH ENTRANT WAIVES ANY AND ALL OBJECTIONS TO JURISDICTION AND VENUE IN THOSE COURTS AND HEREBY SUBMITS TO THE JURISDICTION OF THOSE COURTS. If, for reasons beyond Sponsors’ control, the Contest is not capable of running as originally planned, such as tampering or bugs or infection by computer virus, Sponsors at their sole discretion, reserve the right to suspend, cancel or modify the Contest, without liability. Sponsors are not responsible for their own, their third party service provider’s, or any entrant’s computer system, hardware, software or program malfunction or other errors, failures, delayed computer or email transmissions or network connections that are either human or technical in nature. This Contest is void where prohibited, restricted or taxed by law. Disclaimers: All Contest entrants agree that Sponsors, their affiliates, subsidiaries, retailers, sales representatives, distributors, advertising and promotional agencies, and each of their officers, directors, employees and agents (collectively “Sponsor Affiliates”), shall not be liable for losses or injuries of any kind resulting from acceptance or use, including misuse, of the prize, or any entrant’s participation in the Contest, or any technical malfunctions of the telephone network, transmission line, computer system or network, computer equipment, hardware, software, or any combination thereof, or any entries that are late (including delayed data transmissions), tampered with, garbled, incomplete, misdirected, lost, mutilated, delayed, corrupted, mechanically duplicated, illegible or otherwise not in compliance with these Official Rules. Entrants also agree that Sponsor Affiliates are not responsible or liable for any injury or damage to an entrant’s or third person’s computer related to or resulting from the Contest or its prizes. Sponsor Affiliates are not liable for damage to a user’s computer system in any way due to an entrant’s participation in the Contest or downloading any information in connection with the Contest, including without limitation any server failure, lost, delayed or corrupted data or other malfunction. Sponsors reserve the right to modify or cancel the Contest in the event that it becomes technically corrupted. Rules/Winner List: For an additional copy of these Official Rules or the name of the winner, send a stamped, self-address envelope, specifying your request to: OARS, 2019 Grand Canyon Giveaway, PO Box 67, Angels Camp, CA 95222. The winner’s name will be available after March 1, 2019.